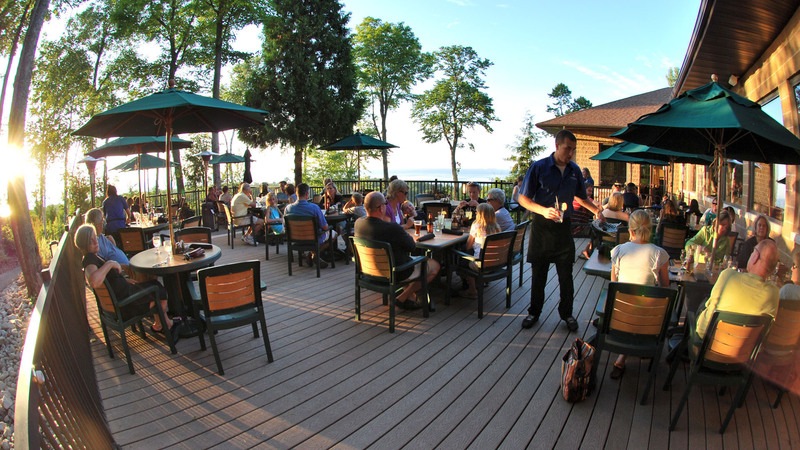 Experience a great view overlooking the bay of Green Bay. Savor tasty food, served by a friendly crew. Located on the north end of the Landmark Resort property, the Carrington Pub & Grill features a relaxed and inviting atmosphere. Enjoy one of our nightly specials or order from our seasonal menu, which incorporates many exciting twists on a traditional bar & grill offering. Our newly-expanded deck for outdoor seating boasts one of the most spectacular views in the County.